"Boundary" Clay resist, naturally dyed indigo and iron. 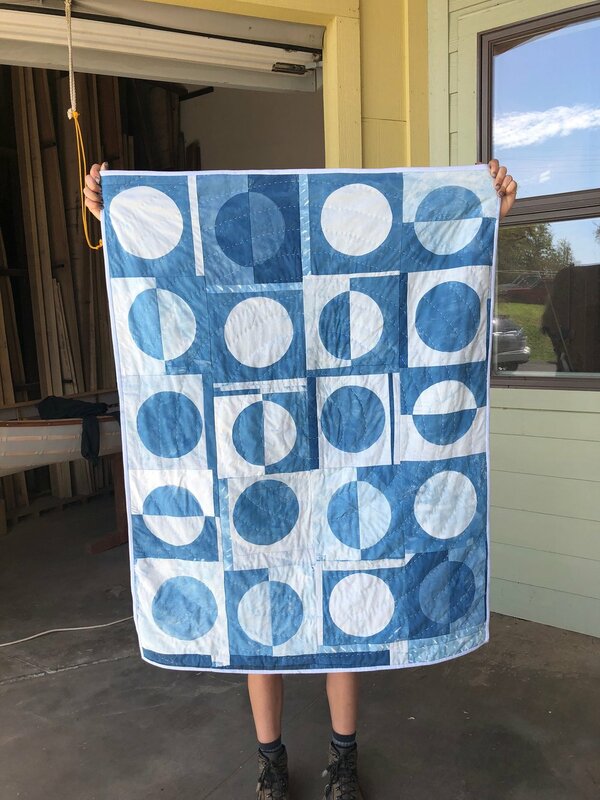 Hand quilted with sashiko thread. 36 x 52. 2018. "Ladder" Naturally dyed with indigo, black beans, and iron. 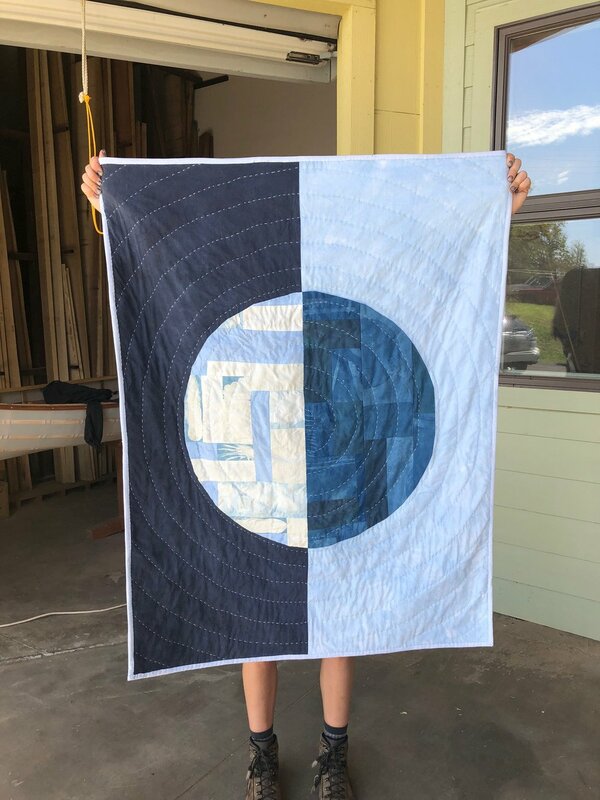 Hand quilted with sashiko thread. 42 x 42. 2018. "Bloom" Hand-dyed with indigo. Block printed with a hand carved block. 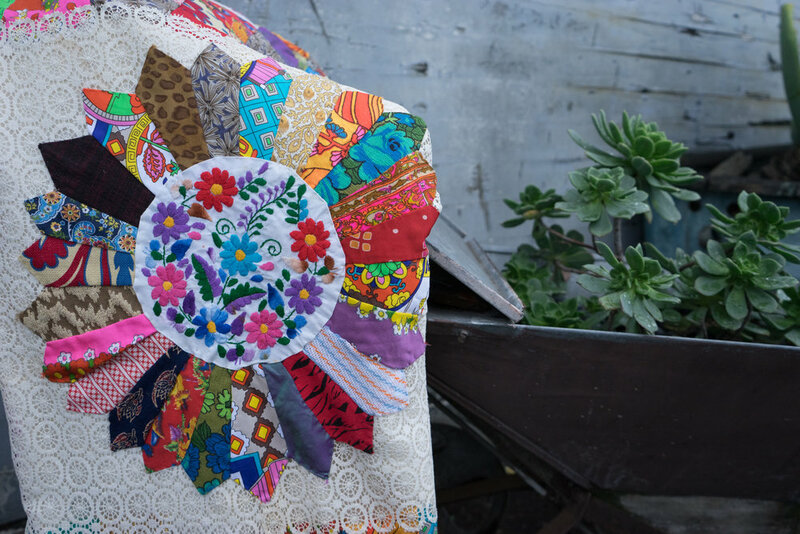 Hand quilted in a bloom pattern. 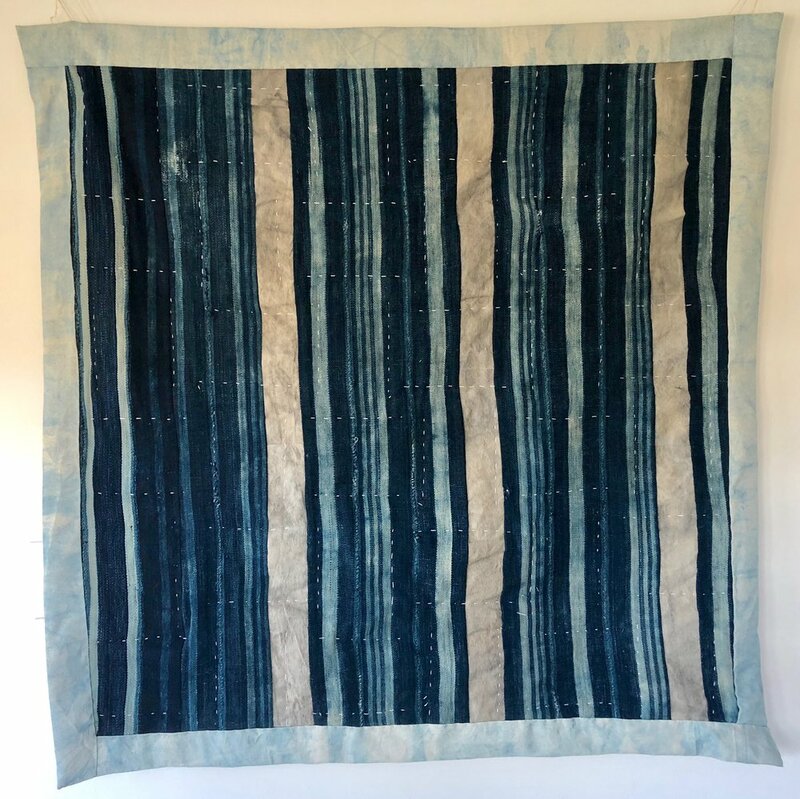 Itajime shibori indigo border. 1 square yard. 2018. 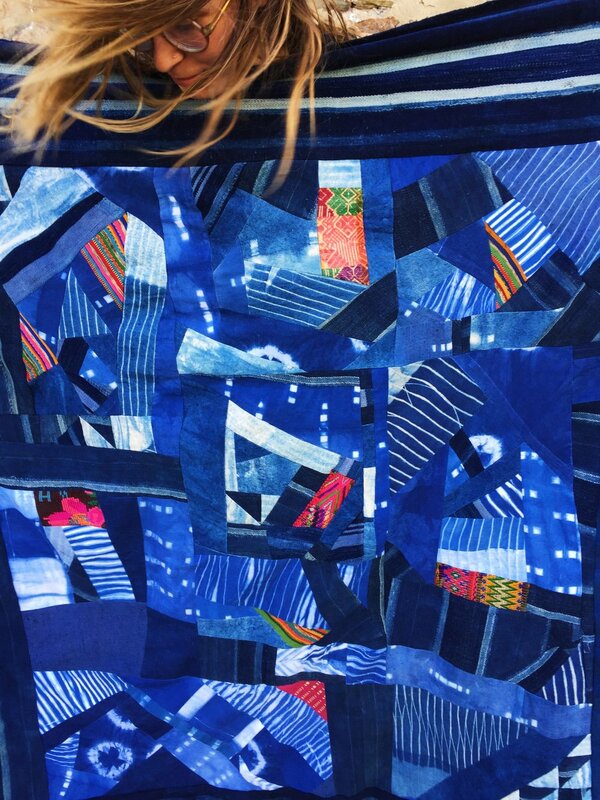 "Night Sky" Hand-dyed Indigo & Huipil Scraps. A commission for a dear friend of mine whose mind & spirit is as expansive and deep as the night sky. 2017. "Bodhi Moon" Hand-dyed indigo & Huipil scraps. A commission by Bodhi Moon's wonderful mother for his first birthday gift. Inspired by the Moon and his playful spirit. 2016. "Little Mountain" Wall hanging inspired by the Mountains & Womanhood, hand sewn needle turn applique. 2015. "For Mom" A birthday gift for my mom, a combination of Huipil scraps, vintage napkins, gifted and thrifted fabrics. 2015. "Little Yellow" Second-hand fabrics from thrift stores. 2016. "Big Red" Wool and Cotton. Machine sewn. All fabrics were gifted to me by amazing friends. 2016. "First Flowers" My first quilt, 100% hand sewn and made from scraps. 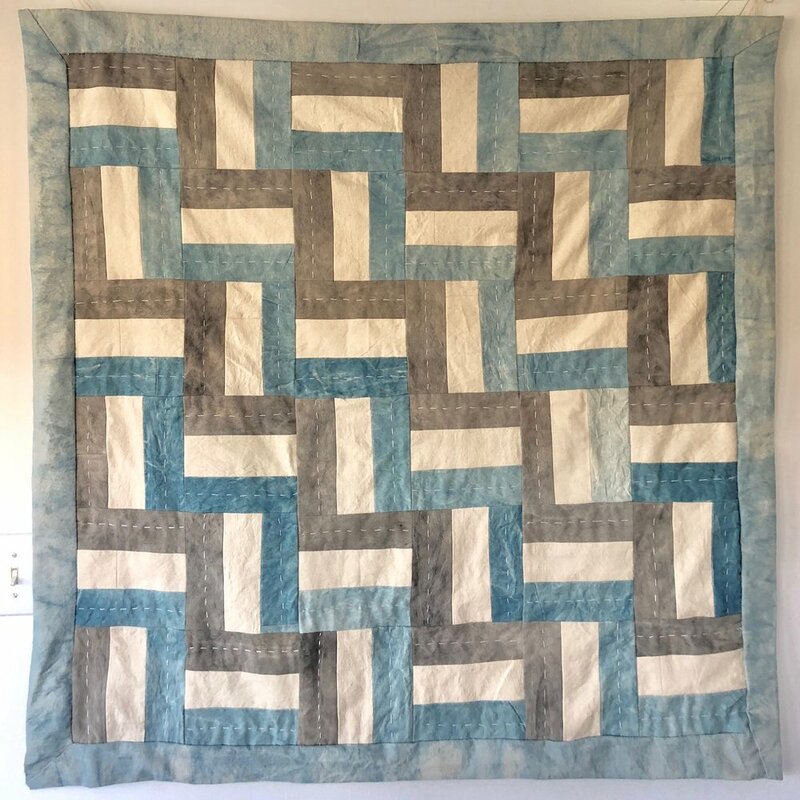 Boredom of a broken hand and physical therapy led to me hand sewing my first quilt. 2014.